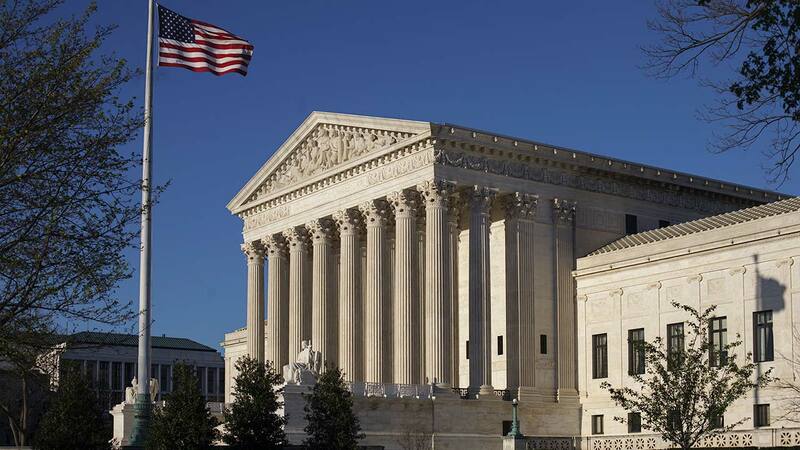 WASHINGTON -- The Supreme Court is rejecting the Trump administration's highly unusual bid to get the justices to intervene in the controversy over protections for hundreds of thousands of young immigrants. The justices on Monday refused to take up the administration's appeal of a lower court order that requires the administration to continue accepting renewal applications for the Deferred Action for Childhood Arrivals program, or DACA. What made the appeal unusual is that the administration sought to bypass the federal appeals court in San Francisco and go directly to the Supreme Court. In a brief unsigned comment, the justices they assume "the court of appeals will proceed expeditiously to decide this case." A judge in New York also has ruled in favor of immigrants challenging the end of DACA, and that case is expected to proceed to the federal appeals court in New York. President Donald Trump had set March 5 as the end date for the DACA program. The court order says applications must be accepted indefinitely. DACA has provided protection from deportation and work permits for about 800,000 young people, many who were brought to the U.S. illegally. It's unclear how the court's action Monday will affect efforts in Congress to come up with a legislative fix. The Senate recently failed to pass an immigration bill.